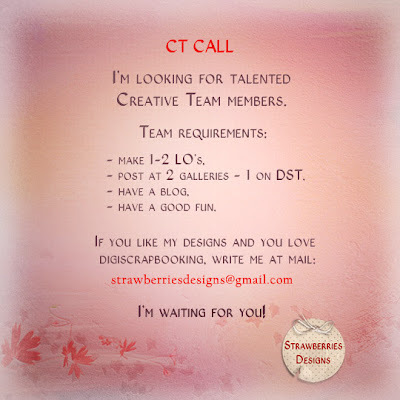 Strawberries Designs digital scrapbooking corner: Winners and appel call. Here is almost Autumn. Now, the evening is the best tea with lemon and a warm blanket. And from this place:), thank you for all your kind words. and in response receive Play In Green. Holidays have passed and I'm looking for willing and capable girls to my team.